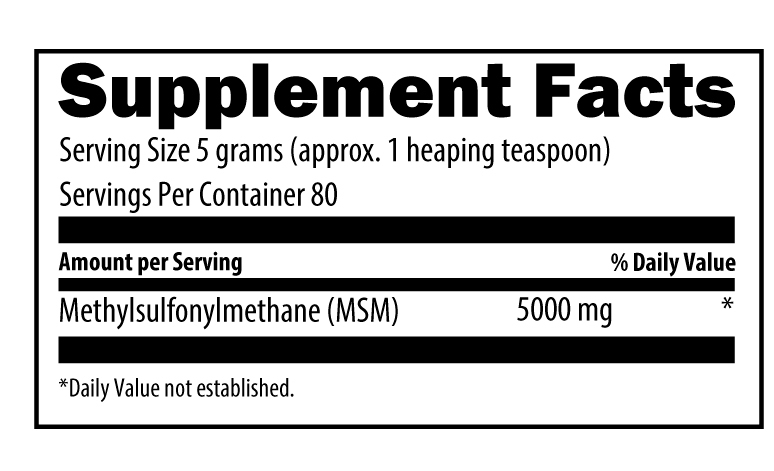 MSM capsules and powder contain the sulfur-supplying compound methylsulfonylmethane (MSM). 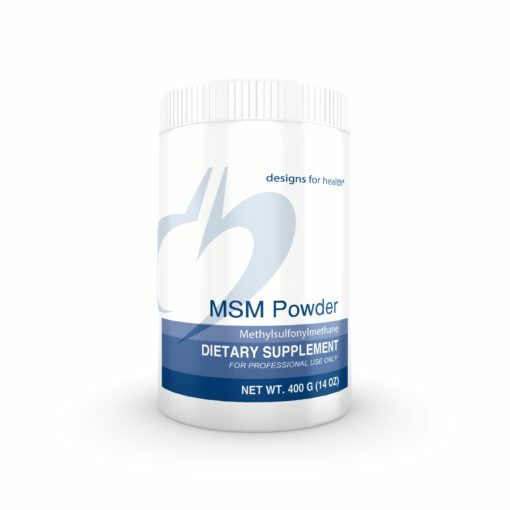 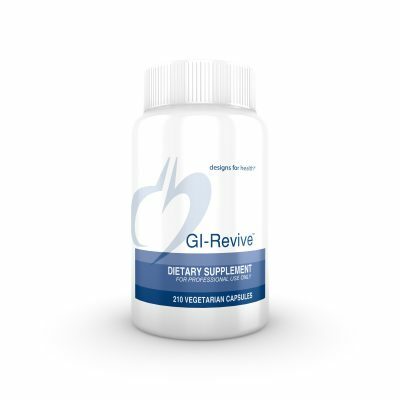 MSM modulates histamine release and inflammation, and has the ability to support collagen produc­tion, which is the primary constituent of cartilage, skin and connec­tive tissue. 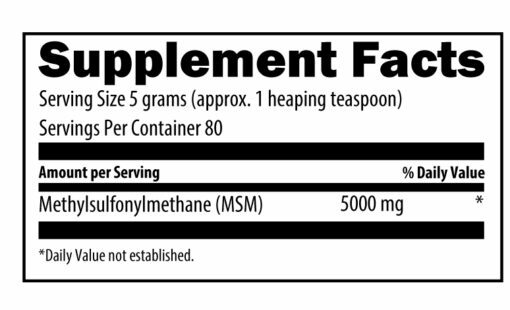 400g powder.